Get set for launch. “Eyes on Exoplanets” will fly you to any planet you wish—as long as it's far beyond our solar system. This fully rendered 3D universe is scientifically accurate, allowing you to zoom in for a close look at more than 1,000 exotic planets known to orbit distant stars. With the click of a mouse, you can visit newly discovered gas giants, Earth-sized planets and “super Earths”—rocky like ours, but gargantuan. The program is updated daily with the latest finds from NASA's Kepler mission and from ground-based observatories around the world as they hunt for planets like our own. You can instantly find out the time it would take to travel to each planetary system by car, jet plane, bullet train or starship. Use an overlay to compare the orbits of planets in our solar system with those around other stars. Or you can search for planets that might support life by toggling the “habitable zone” display, showing the region around a star where temperatures are right for liquid water. 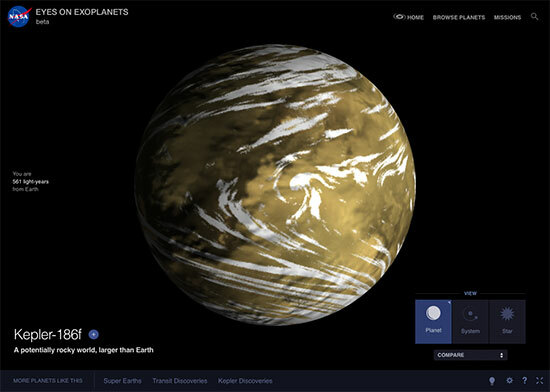 “Eyes on Exoplanets” is powered by NASA's Exoplanet Archive, the official database used by professional astronomers engaged in exploring new worlds. 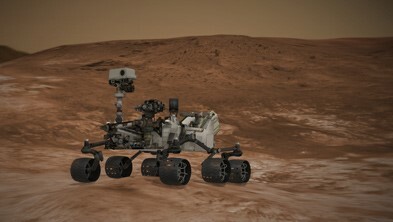 This research has made use of the NASA Exoplanet Archive, which is operated by the California Institute of Technology, under contract with the National Aeronautics and Space Administration under the Exoplanet Exploration Program. Constellation segments provided by Stellarium. Copyright 2015, by the California Institute of Technology. ALL RIGHTS RESERVED. United States Government Sponsorship acknowledged. 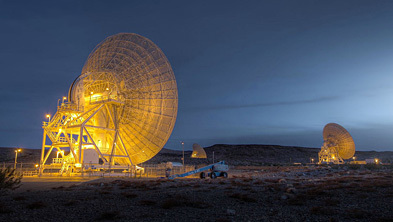 Any commercial use must be negotiated with the Office of Technology Transfer at the California Institute of Technology. This software is subject to U.S. export control laws and regulations and has been classified as EAR99. By accepting this software, the user agrees to comply with all applicable U.S. export laws and regulations. User has the responsibility to obtain export licenses, or other export authority as may be required before exporting such information to foreign countries or providing access to foreign persons. 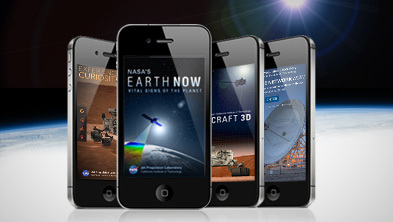 NASA's Eyes interactives require a one-time download of the app. The Eyes app is currently only available on desktop (Mac and PC). Now, for the first time, experience Eyes on Exoplanets…on the web! Now you can use your mobile phone, or any device with a web browser! 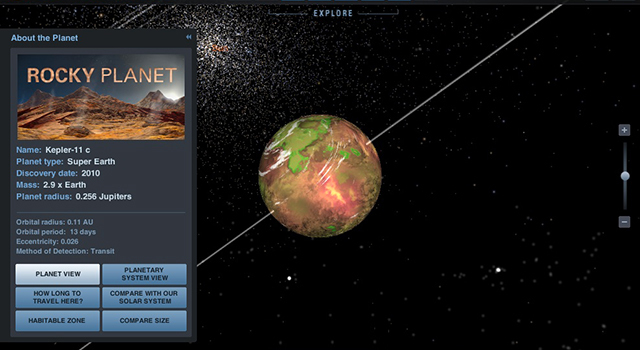 Visit each and every confirmed exoplanet (over 3,800 and counting), check out the habitable zone, and learn about the telescopes used to find them.